Your website is an essential part of your small business, it is important to give it the attention it deserves. We repeatedly see good websites deliver excellent results for small businesses which would previously have wasted a lot of time and money on ineffective marketing. Read the report below about the 11 essential elements we have seen work magic on small business websites. For more info on our small business web design services click here. When small business owners ask, “Why isn’t my website converting?” the answer is most often a lack of call to actions. Common call to actions include phone numbers and “Buy Now” buttons, but they may also be more subtle actions encouraging visitors to a next step. Call to actions are designed to engage your visitors and guide them down the path to a conversion. Visitors to your website need specific information before committing to a purchase or enquiry, smart call to actions preempt the visitors next step and gently lead them through your website in the way you want them to experience your website while delivering the information they are seeking. On the most basic level make sure your phone number is in the top right of every page of your site. Put your contact info on the footer of every page along with quick links to your most valuable content. This is even more important for mobile websites where prospects are often just looking for a quick phone number, hours or address. We mention conversion tracking up the top because it’s so often neglected, yet it’s one of the easiest strategies to implement particularly for a small business. It is vital to know how many enquiries and sales that you receive through your website, where those website visitors come from and what the cost is to acquire them. This allows you to accurately measure your marketing spend, evaluate the success of any improvements or modifications in your website design or online marketing, and ultimately measure the underlying success of your website. The two biggest mistakes made with small business About Us pages is that they are often boring, and they’re not about the customer. It may seem counter-intuitive to write an About Us page that is more about your customer than your company, but there’s a good reason for it. Your company exists for your customer. So by logical extension, your About Us page is also about your customer. That’s not to say it shouldn’t create an engaging portrait of the personalities behind your organisation because your prospects want to know who they’re working with, but they also want to know how those people are going to make their lives better. Your small business About Us page, like the rest of your website, should present all information in the context of how it benefits your visitors. Your content is a vital tool to lead visitors towards the purchase and it should work together with your design and brand to provide a seamless and compelling experience. High-quality content demonstrates authority and integrity and visitors are more likely to purchase from businesses that invest the time and effort into sharing their message in an intelligent and appealing way. Visitors will be more inclined to remain on your website if it’s aesthetically appealing and visually interesting. They will also be more likely to return and to share your website with others. A visually compelling web design immediately establishes the quality of your company and your product. Visual design has a significant impact on a visitor’s emotional response to your small business. If your website has a below average visual appearance visitors will consciously and subconsciously perceive your company to be below average. If your small business website is built around a visitor’s objectives and point of view, it will encourage their interaction and improve your conversions. Ask yourself ‘why did they come to your website in the first place?’ What questions are they hoping to answer on your website. Try and see your website from their perspective to create an experience that anticipates their needs and delivers the right solutions. You need to make it easy for visitors to access the content they need, whether it’s contact information, product specifications or prices. At its highest level, user experience is about providing what your prospects need before they even know they need it. Responsive design insures that no matter what device someone uses, your website delivers content in the most effective way. For complex websites, custom mobile design may be necessary, however in no instance should mobile visitors be left with the standard desktop version. Desktop websites are awkward on mobile devices making it difficult to navigate menus, click links and find what users are searching for. The platform upon which your website is built will have a huge impact on it’s usability as well as how efficiently you are able to update content and interact with visitors. 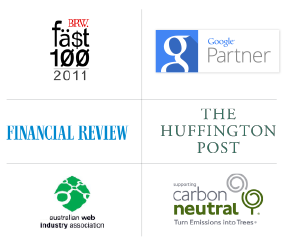 We can’t overstate how important this structure is to the performance of your website. This is particularly important for an ecommerce website. Without some of the following critical features you’ll waste time when posting content, optimising for search engines or fixing errors. An online presence alone isn’t enough to generate enquiries and sales. You need a strategy to work out how best to broadcast your content, attract search traffic and convert visitors into customers. There are a lot of options available to you including pay-per-click (PPC) advertising, search engine optimisation (SEO), email marketing and social media. Depending on your small business and industry some strategies will work better than others. A great small business web design company will be your partner in implementing everything we’ve discussed. You don’t have to know how to write, design or market your website. You’ll save time in the short-term and money in the long-term. Before hiring a web designer, ask how well they know these essential elements, how they propose to incorporate them and how they’ve succeeded in the past. Use a critical eye when checking out their website. Look for an experienced company that is well established and that has a comprehensive history and portfolio of working with similar small businesses to your own. By partnering with the right small business web design company you are putting yourself in the very best position to ensure that your website is a successful one. Providing locally based and experienced Melbourne, Brisbane and Sydney web design and web development services, Magicdust is Australia’s go to full service digital agency. 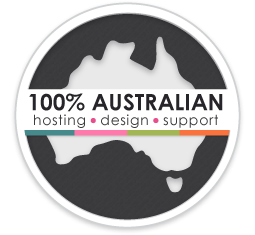 Trusted by over 4,100 businesses, Magicdust is 100% owned and operated providing in house technical support and hosting. Our core service offering includes quality open source websites, graphic design, ecommerce and online marketing solutions. We make the process of finding an experienced and local web design company easy, sourcing the best local talent to offer you some of the best Brisbane, Melbourne and Sydney web design solutions.